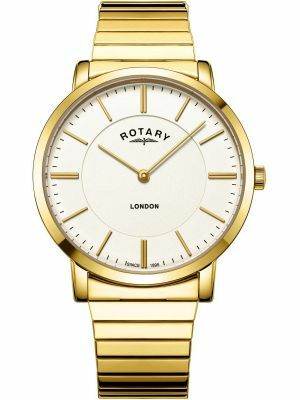 The ever popular men's expander watches are still available from brands such as Rotary, Citizen and Accurist. Liked for their ease of placing on the wrist and comfort. Our range of expandable watches can all be easily sized to your requirements. Just contact us beforehand to request this. 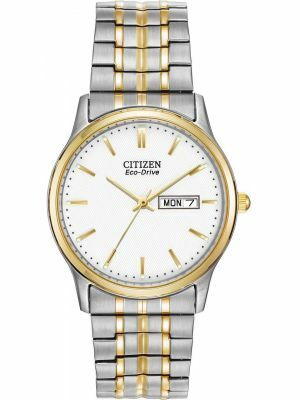 The ultimate in "easy all round" would be the Citizen Eco drive solar powered men's expander watch. Rarely needing any maintenance and easy read dial it makes perfect sense. All expandable bracelet watches have simple uncluttered dials, and some with bold numbers. All with free UK delivery.